This April 15th the SWFHR Rescue Facility turns 5 years old. Even though the founders started rescuing equines in 2010. 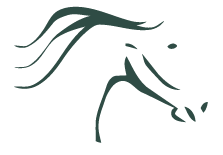 It was April 15th, 2014 that SWFHR was awarded a grant by a private foundation and closed the deal on 14811 SR 31 in order to establish an equine rescue facility. Founders Tina, Matt and a host of dedicated volunteers over the years have been developing the facility that you will see. The horses always come first is one of our mottos. Get to know more about SWFHR. This event is to celebrate the 5th year of operation for the SWFHR Rescue Facility. Meet & Greet the rescued equines at the facility. Meet the horses in their living environments. Greet the working staff of SWFHR to put a face to the people behind the scenes at South West Florida Horse Rescue. Demonstrations featuring a number of educational and entertaining shows. Food Vendors from simple to full plate meals our food vendors got you covered. Merchandise Vendors everyone loves interesting things and our vendors will bring it. Contests this year kicks off our first year of contests with a Chili Cook Off contest (sign-up deadline is March 1) and Stick Horse Racing. New Vendors may be added all the way until the day before the Benefit. New Charities may be added all the way until the day before the Benefit.